For over fifteen years, Trevor has been brought in to help small business owners improve their marketing, increase revenue and make more sales. He often works with entrepreneurs, consultants, coaches, and seekers who have the challenge of generating consistent lead, elevating their brand and scaling the business. Trevor begins by stressing the point that your story matters. You might not think it does, but chances are, there’s somebody out there who is going to respond to what you have to say. It might even be just what they needed. Of course, there’s also the monetary benefits of writing a book, which are all the sweeter when you know you’re helping the people who make that purchase. However, the majority of the monetary value you derive from your book will be from the ensuing opportunities that being a “writer” provides. How Do You Get Started on a Book? To begin, Trevor believes you need to find the context of your story. This involves rifling through the skeletons in your closet and homing in on your vulnerabilities, which can be hard, but rewarding. Your greatest communication power as a brand is authenticity, integrity, and vulnerability. This is because if people like you, they’re more likely to buy what you’re selling. The other most important part of starting a book is just that: to start. Trevor waited twenty years to write his book, because he was trapped on the treadmill of everyday life. However, once you’ve started and then eventually finished, the work isn’t over. Then, you have to market your book and sell your vision. This can be the most difficult part, as you’ve created your work in a vacuum, without figuring out how other people will react to it. This is especially true with books, as most authors sell only 250 copies a year and 3,000 in a lifetime. Once you’ve actually decided to start, you need to figure out your mission. You need to lay out your blueprint to the finest detail. By doing this, you’ll have a better view of the endgame, which will light a fire under your writing hand. It also helps to tell other people that you’re starting a book, as it makes the idea real and makes it harder not to follow through. 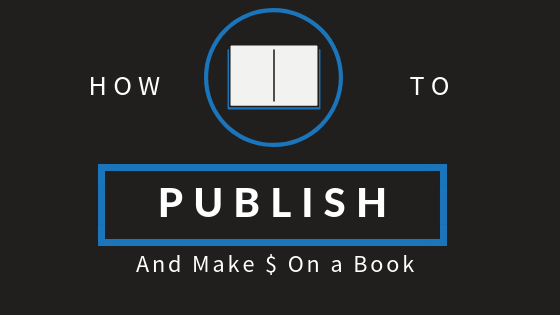 Next, you need to figure how you’re going to monetize your book: the pitch, your target audience, etc. While writing your book, Trevor also stresses the importance of raising money, because, as they say, it takes money to make money. You need funds for marketing purposes, as your entire book’s success will rest on how effectively its marked. It’s not as simple as showing up on television shows and spreading the word. It takes a lot of work to get on those shows. Trevor even suggests doing some of this marketing before the book ever releases, in order to build anticipation. What Happens After Your Book Comes Out? When writing a book, you might be thinking of success in terms of selling lots of copies, but there’s more to it than that. Simply by writing a book, you essentially become an expert in that topic, in terms of perception. Your brand immediately becomes more coveted. For instance, Trevor suggest that J.K. Rowling might make more money from selling Butterbeer at Disneyland than from her actual books. In fact, while writing his book, “Big Money with Your Book and This is Without Selling a Single Copy,” Trevor interviewed several people who are totally unknown, yet bring in tons of cash because of their book. One was a guy who ran a hotdog stand and made just enough money to get by. Then, he wrote a book about running a hot dog stand and made $53,000 in 45 days. After your book comes out, Trevor recommends selling a course, selling coaching or selling consulting. You want whatever your selling to be more expensive than the book, so it appears like it has added value from the book. This could be a thousand-dollar coaching program or training course. In fact, Trevor suggests that your book is essentially a marketing tool for these more lucrative products. To get your book done as fast as possible, Trevor has a seven-step process. The first few steps are strategy, structure, and story. The strategy is the mission statement that was already talked about. Structure and story are fairly self-explanatory, but it’s important that you don’t focus too much on story before you get your strategy and structure nailed down. The fourth step is setting the date of the book’s release. This gives you a clear deadline on when you need to be done. Otherwise, you could procrastinate forever. The final three steps are speak, scribe, and source. The first two steps refer to the writing process itself, although it’s not necessarily a writing process. Trevor believes it’s a better idea to talk your story out into a recorder and then have another person transcribe it. Sourcing refers to the fact that you’ll need to hire some people to edit your work and make it look nice. This step is necessary, because most people aren’t literary wizards, yet your message needs sound clear and intelligent. Where Can You Learn More About Trevor’s Ideas? Trevor Crane has been a trusted business advisor, coach and mentor for over a decade. Helping his clients generate more than $13 million dollars in bottom line profits in 2014, he is sought after as a SMB and Independent Professional coach around the world. He has a special passion for helping service-based businesses, consultants, coaches, authors and speakers take their businesses to the next level – no matter how successful they already are. 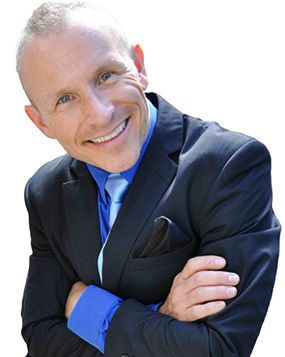 Trevor's unique commonsense approach, along with his humor, wit, and infectious energy, allow him to connect with virtually any business leader or entrepreneur. Trevor helps companies outperform, outsell, and outlast the competition through systemic and strategic consulting, coaching, training, marketing and support. He provides tools for individuals, sales people, businesses and executives on how to improve and maximize on their opportunities. Trevor Crane has a personal website, where he has all of his books listed. He also has a site called EpicAuthor.com, where he offers training that claims to take you from the blank page to a bestseller in ninety days or less. Trevor can also be found on LinkedIn, Facebook and YouTube.